MLS is a collaborative effort between brokers that helps to make properties more widely available to potential buyers. If another broker has a client who’s interested in a listed property, this broker contacts the listing broker, and they both receive part of the sales commission. MLS is not only beneficial for brokers to increase their sale opportunities, but it’s highly beneficial for future landlords because it exposes their properties to a colossal pool of potential renters. Renters or landlords must work with a real estate agent, broker, or property management company to access MLS. NAR (National Association of Realtors) statistics show 92 percent of buyers use an agent in the home-buying process, so the likelihood of your property gaining massive exposure is certain. Using an agent is a great choice for effectively marketing your property. Many agents specialize in working solely with landlords to rent properties and don’t handle home buying at all. Find a trusted rental agent or property management company who will invest in your property. Beyond MLS, many free online marketplaces exist for gaining rental exposure. Zillow receives 160 million visitors per month. It is a popular site that offers free listing services to landlords with fewer than 50 units. Zillow is so powerful it bought two other well-known marketplaces – HotPads and Trulia – to form Zillow Group. Now, if you post on Zillow, your listing spans across all three networks, making Zillow Group essential to your marketing strategy. NAR research shows 99 percent of millennials use online search websites, and 89 percent of older consumers use them, too. Free services such as Zillow are an easy and valuable choice for marketing. Craigslist is another option that receives massive online traffic because it ranks 14th in the country compared with all other U.S. sites. Listing is free, and you are guided step-by-step through the listing process. Craigslist has mandatory sections to fill out that provide renters with helpful information, and landlords can write as much description about the property as they want in the description box. Space is available for the address, or you can simply enter the zip code if you’d rather not make the address public. The post becomes live on Craigslist after you upload photos. For online amateurs, Craigslist is a simple, yet powerful platform to market rentals properties. Online marketplaces are easily accessible and provide good exposure, but it takes time and effort to manage your listings. After going through the process of preparing your property, you may not have the energy to complete the second half of the process of actually marketing your property. Along with the time investment, you must avoid several issues that thwart the ease of marketing online. Many landlords are unaware of hidden strategies when they use online listing services such as Zillow. It is free to post your rental property, but Zillow has a few secret strategies you should understand. If you’re renting your property yourself (For Rent By Owner – FRBO), you run the risk of interested renters mistakenly contacting other real estate agents about your property because of Zillow’s page displays. In the sidebar of a page, you’ll normally see some agents listed where Zillow sells advertising space to agents. One agent is typically pre-selected, so an interested renter can easily mistake them for you – the owner – and fill out his or her information card. Zillow then sends the information to that agent as a lead. Zillow’s mobile app has a call button that goes directly to an agent and not to the owner of the property. These hidden strategies increase the difficulty of receiving any leads as a FRBO. Safety considerations come along with FRBO. Since Craigslist is free and open to the public, it attracts some people of questionable character. Safety precautions are vital when communicating with a potential renter on Craigslist. One way to protect yourself is to avoid posting the exact address of your property; post only the zip code. You can supply the address if someone contacts you requesting more details and you determine he or she is trustworthy. Not posting your phone number or email is another way to protect your privacy. Renters can contact you using Craigslist’s email link initially, so if you receive spam, you can ignore the email and have peace of mind knowing the spammer doesn’t have your personal email. Zillow Group and similar websites often present the same safety issues. If you want to ensure potential renters contact you instead of a pre-selected real estate agent on Zillow, you must make your phone number extremely obvious at the top of the listing. This could result in spam calls that make you feel insecure. FRBO always involves doing your own showings as opposed to an agent handling this step. Communicating with an interested renter via email or phone offers a limited means of assessment. Meeting someone in person at a private location brings a whole other level of unease if you are not comfortable with the person. To protect yourself, invite a friend or family member to your property when you have showings. Hidden fees for listing your property creep up and make the online marketing process much less enjoyable. Many companies make you pay a one-time flat fee to post across multiple platforms, such as Flat Fee Group. Other companies charge for any leads you receive. All these unexpected fees make online marketing an unpleasant experience for many landlords and sellers. At BMG, we streamline the marketing process through Appfolio. This software has a platform that allows us to post your listing across almost 40 different sites. After we enter a description of your property and upload photos, one click of a button sends your listing to numerous sites to increase exposure and market your property to as many renters as possible. Life is time-consuming enough without having to worry about renting out a property. Preparing and marketing rental property could be another full-time job all in itself. Using BMG is an excellent choice for landlords who want to avoid the time-consuming process and begin renting their property as quickly as possible. We offer full leasing services as well as tenant screening for landlords. The work doesn’t stop once you rent your property. BMG assists you as a property owner by offering many additional services. Whether you need move-in and move-out reports to assess any damage to your property, collection of rent and management of the eviction process, BMG can advise you on the latest laws regarding rental properties to ease the process. We even send monthly financial statements and provide a 1099 at the end of each year and our maintenance crew is available 24 hours a day to address any concerns from you or your tenants. Beyond the initial marketing process, we handle all your needs as a property owner. Marketing your rental property on your own is a definite possibility. 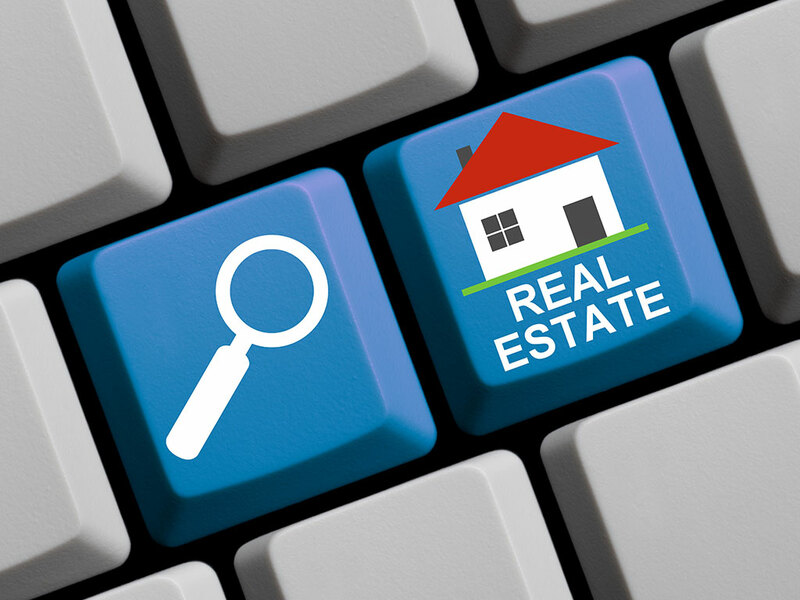 Plenty of online resources and marketplaces, such as MLS, Zillow Group, and Craigslist exist, though MLS restricts access to brokers and real estate agents. Preparing your property consumes a chunk of time initially, but once your property is ready for the market, you won’t have to invest more time in preparations. Do-it-yourself marketing requires a lot of time and energy. You also will have to schedule time to answer phone inquiries and conduct property showings to potential renters. Handling the entire process is overwhelming for most property owners. If you’re looking for a solution, BMG offers the marketing services you need to rent your property promptly with as few obstacles as possible. Save yourself time and lease your property as soon as possible with BMG.